The time has almost arrived for the return of the oldest event on our racing calendar called the Ignitor. True to form, the Nitro Opener carries with it a significant amount of history and stature. You can also tie in the fact the racing weekend will feature a unique double header. 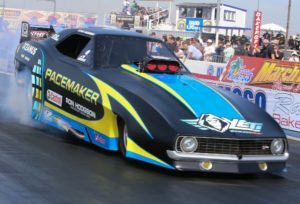 The NAPA Auto Parts Ignitor presented by Peterson Chevrolet combines both the Division 6 Lucas Oil Drag Race Series and the NHRA Hot Rod Heritage Series into one double throwdown affair. 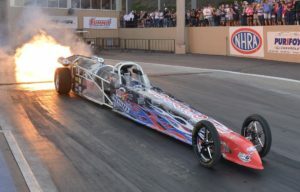 The Stinker Stores Nitro Knockout will take center stage at Firebird as the second stop in the NHRA national chase. The current pre-entry roster includes the #1 car in North America, the “Pacemaker” Camaro of Edmonton’s Ryan Hodgson. The Yeti SNOW MX-backed Funny Car won the prestigious Good Vibrations March Meet at Auto Club Famoso Raceway. The leading challenger will be the Funny Car team that won the Ignitor crown one year ago. After an enormous fire in the final of the March Meet, Bucky Austin and team have rebuilt their flopper from the ground up. New shoe Bobby Cottrell will pilot the “Northwest Hitter” Camaro, which is co-operated by Mike O’Brien. The field will be led by one of the hottest Funny Cars in the land. Former World Champion Jason Rupert will be competing with his “Rolling Thunder” Camaro. This year’s Ignitor marks the first Firebird appearance of Rupert and Brad Littlefield in a number of years, seeking to avenge a semi-final loss at Famoso. We’re also excited to learn that Dan Horan will be bringing the fastest Funny Car in Firebird history to the Ignitor. Horan recorded a 259.76 mph with “the Patriot” Camaro, which is the current track record. Last year’s runner-up is currently #6 in the Heritage national standings. Other challengers include Michael Peck with Don Nelson’s “California Hustler”, Cameron Ferre driving the Tim Boychuk “Happy Hour”, Marc Meadors “Fuel Curve”, Chris Davis “Old School Nitro”, Wally Giavia “G-Men”, Bill Windham “Shakedown”, and Jon Rice “Nitro Spud”. The open 8-car field will qualify at 4 pm on Friday, and 2:30 pm and 5 pm on Saturday, followed by eliminations on Sunday at high noon. Jet Dragsters will light up the skies on both Saturday and Sunday afternoon. “Terminal Velocity” and the “Lucas Oil Missile” will perform at Firebird for the very first time. They will shake the valley floor with a fire show that is one of the best in the business. ATTENTION ALL THE PARENTS OF KIDS 15 & UNDER: We will let all spectator kids under the age of 15 into the facility at no charge. Free! 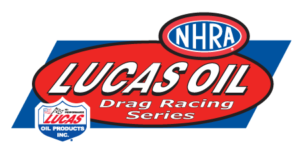 Test `n tune runs are available for Lucas Oil Drag Race Series and Gold Cup competitors on Thursday afternoon. Qualifying and time trials begin at 9 am on Friday and Saturday. Sunday’s final eliminations get underway for all categories. Racing will be offered in Comp, Super Stock, Stock, Top Dragster, Top Sportsman and Bike/Sled. Heads up competition will be staged in Super Comp, Super Gas and Super Street. Super Pro, Pro and Heavy will also be contested. Make your plans right now to be at the Ignitor. It’s shaping up to be one fantastic weekend of racing!!! Photo credit (March Meet burnout of R. Hodgson) by Gary Himes.